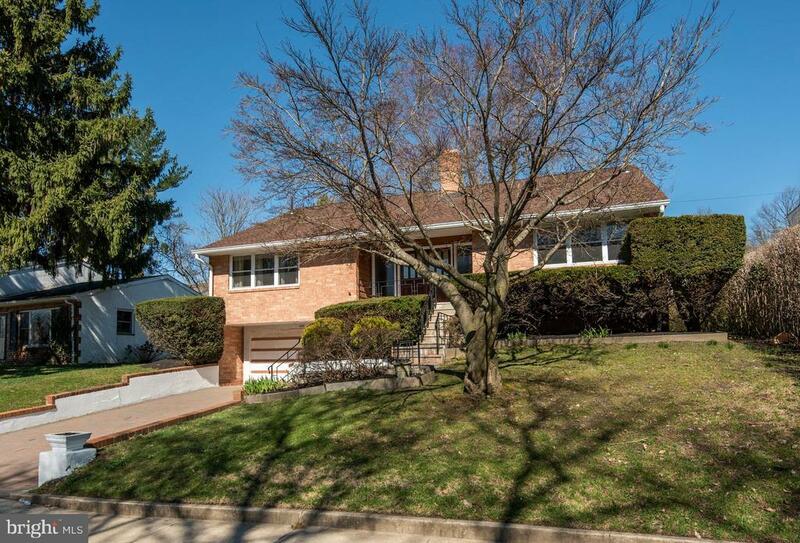 Dont miss out on this Upper Roxborough single on a quiet desirable street. Wonderfully maintained by original owner 4 bedrooms, 3.5 bath home on a Spacious lot with a great yard. Drive your car up to this extended paver driveway, 2 car over-sized garage and enter through the lower level or double doors. Open floorplan has a foyer entrance with a modern concept of living room area, hardwood flooring, fireplace, living area wraps around to spacious dining spot, perfect for entertaining with room to extend tables. Open kitchen with eating area, plenty of cabinets and counter space. Home is filled with natural light, lots of windows, the entire back of the main level has sliders that lead to a tiled enclosed sunroom. 4 bedrooms and 3 bathrooms complete the main level. Master to the left with private bath and 3 other bedrooms to the right with 2 baths. The lower level has plenty of space with a full family room, additional office space with complete with its own entrance. Spacious laundry area and half bath. All systems go with: Roof/gutters installed in summer of 2018, a/c condenser 2013, French drain 2013, New heater in 2017, hot water heater 2012. Electric service upgraded in 2016, Kitchen fridge, range, and garbage disposal all replaced within last 4-5 years. Conveniently located to major roads, shopping, a quick commute to center city. Fairmount Park close by. Enjoy the city in this suburban spot.